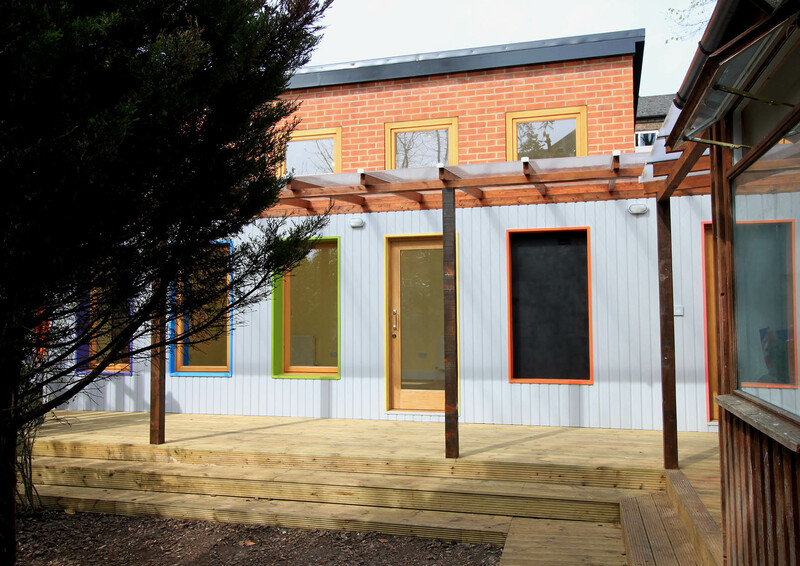 Sunrise school combines a nursery and primary school set within a converted house in north Tottenham. The school is part of the Neo-Humanist Education movement which aims to encourage a holistic approach to life and enrichment by interaction of different cultures. Due to its success the school needed additional teaching space and support facilities, as well as a covered external play area. The brief called for sensitive extension of the existing buildings. Enabling the school to grow, whilst supporting it's humanist approach. Our proposal created a new classroom within a double-height space with ancillary staff and changing facilities tucked beside an existing extension. 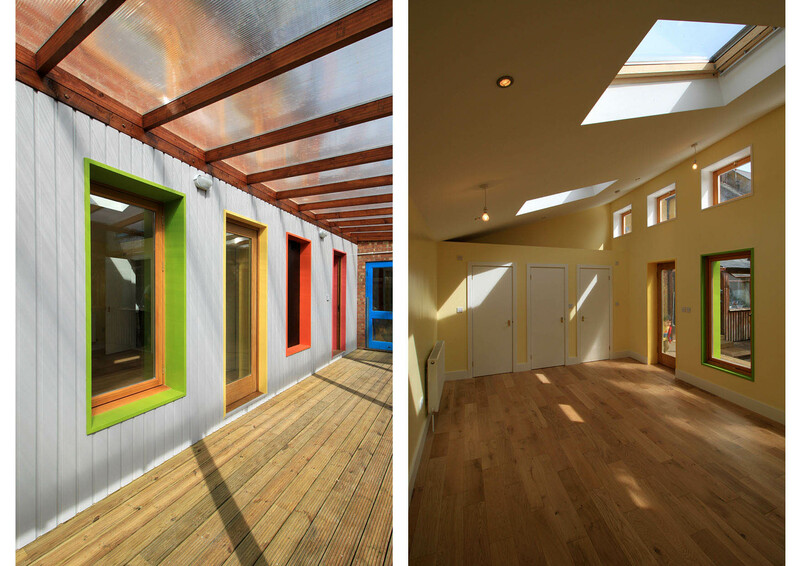 An external deck and canopy united the old and new garden exits and created a sheltered play area. 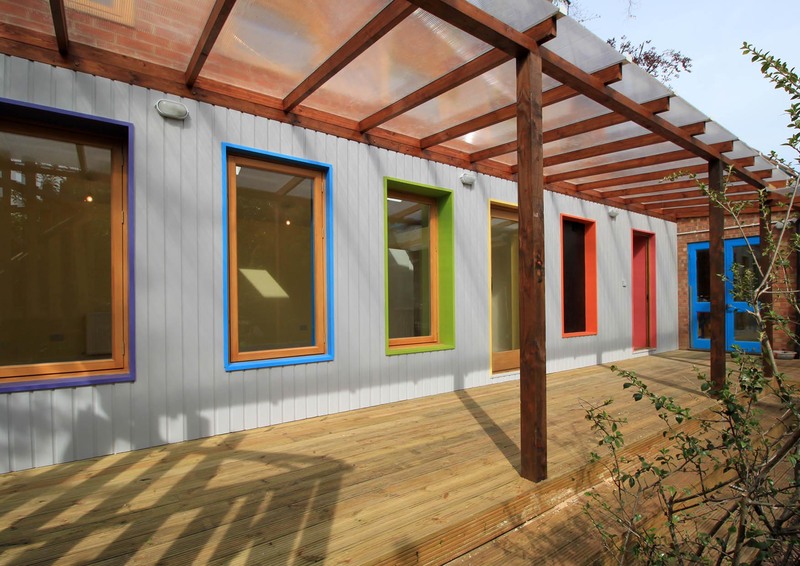 Natural materials and touches of colour were used together to create a safe and fun environment for learning and play.